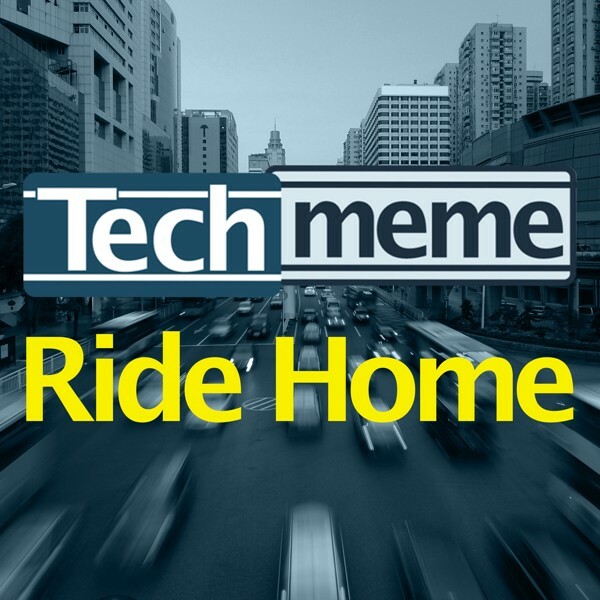 Brian McCullough: [00:02:36] Ali Tamaseb, thanks for coming on the Techmeme Ride Home. Ali Tamaseb: [00:02:38] Thanks for having me. Brian McCullough: [00:02:40] All right, so you’re at Data Collective VC. What sort of what sort of investments does DCVC make? Are you guys focused on specific companies, spaces, industries, that sort of thing? Ali Tamaseb: [00:02:54] So Data Collective VC, we’re a Silicon Valley based venture capital firm. Started about 10 years ago. We are an early stage investor, we invest in seed and Series A, and we are primarily a deep tech investor. And what we mean by deep tech is highly technical companies, highly technical founders, oftentimes they’re PhDs, they’re academics. They’re working on something that’s hard. It’s not an app, it’s not a consumer brand, it’s not a business model innovation — it’s a technically challenging product. And that and only that team can actually make it or they’re far ahead from the other team in doing that. So we like dispensable companies to invest and we like very large industries. So it’s a high-cost, very hard problem, nobody has solved it, it’s a massive market. If you make it happen, if you sort out the technology, you open up a big market. That’s what we’re interested in. Brian McCullough: [00:03:48] Boy. That’s interesting to learn that, having read the Medium piece, because now I can see some of the way that you framed your research. And you have an academic research background yourself, right? Ali Tamaseb: [00:03:59] I do, yes. So I come from an academic background in neuroscience. I’ve done a lot of research on brain contusion, on biomedical engineering and biomedical signal processing, as well as human-computer interaction. Brian McCullough: [00:04:14] So we’re here to talk about your Medium piece which got a lot of attention, Land of the “Super Founders.” What prompted you to do this project? I think you said that you did this in your free time? Ali Tamaseb: [00:04:28] Yes. And it’s taken a lot of time. At least 300 hours, maybe 400 hours. It’s about one and a half years, all my weekends gone on gathering this data. I was fascinated, and when I started I didn’t actually have the mindset of writing something about it. It was genuinely a question for me of: What is separating these very large companies? There’s a lot of things people say, but there is no data. You go and Google and there is a bunch of, you know, answers on Quora here and there. There’s no definitive answer on a lot of these questions. So I thought, okay, somebody should do it. Somebody should put it online. So I started getting the data. The problem is the data is hard to find. It’s not on Crunchbase. It’s on LinkedIn, it’s in interviews, you should email the founders. So it was a lot of manual work; it’s not something you can basically automate. So I had to go manually and get all the data. Brian McCullough: [00:05:26] So essentially the question that you’re asking is: Unicorns — billion dollar startups — what did they look like, what did they have in common when they were just getting started? Is this an exercise in pattern-matching? Were you looking for commonalities? Like what, in your mind, would be the usefulness of this sort of data? Ali Tamaseb: [00:05:48] I guess as a venture capitalist that the veil is looking at it is how we can better pattern-match on basically understanding these companies. And also have a better mindset of understanding: Is this a unique situation, or has this happened before? If this company didn’t go to an accelerator program or if they were rejected, if they’re a solo founder — there’s a lot of things about solo founders, right? Because Y Combinator doesn’t normally fund them. And, like, is it true or not? That was the question. Should I negatively bias myself just because people are saying this? Have they done the work to actually do the pattern-matching or not? And one main thing here about this article is it’s not a correlation and causation study. So I’m not suggesting any of these metrics are suggesting what we should invest in. This is basically a review of what the billion dollar companies today look like at that time. Now in the future they may change in that kind of time period. Before that, they may have been different. But this is what they look like now. They don’t necessarily correlate, but some of them show a lot of interesting stuff, especially the things that we don’t expect to see. So it’s a lot of things that we didn’t expect to see and we are seeing it in the billion dollar companies. Not the other way around. Brian McCullough: [00:07:06] Well yeah, let’s dive right into that then. So you already mentioned it, the idea that we’re kind of all used to this, but like, the most common number of co-founders. You usually have a two- or a three-person team and only like 20 percent of unicorns according to your data had solo founders. Again, I feel like we all are used to that, but is there a particular reason why you think that that’s true? That solo founders are not the norm? Ali Tamaseb: [00:07:38] Part of it is just the bias of starting my — the point I was trying to show here, is solo founders work. Companies with ten co-founders workers as well. And part of it is just, how many companies? A lot of companies start with two or three co-founders. It’s natural that we see a lot more companies with two or three co-founders in the unicorns. But what we oftentimes hear is, “Solo founders don’t work,” or, “Six founders don’t work,” and we just see there’s a number of unicorns with five co-founders or there [are] 40 companies with just one founder. Brian McCullough: [00:08:13] I guess, obviously, it’s useful to have a team. It’s very rare that you’ve got that one lone genius out there. But also, looking at the data, like you said, there are big founding teams but again those are comparatively rare. Like the fat part of the graph is the two or three co-founders. And then it’s comparatively rare to have like an eight-member founding team, and it’s comparatively rare to have a one-person funding team. So do you have any thoughts on why that two or three number? It’s almost like there could be too many cooks in the kitchen, and then it’s also rare that there’s a lone wolf genius out there. So like two or three, a nice tight team, maybe makes the most sense. Ali Tamaseb: [00:08:58] Yeah, there’s been a lot of research on why, just on the human psychology, just two or three people work best together, at least in the very early stages of the company. And it’s just a different kind of naming convention. You may call six different people the kind of “co-founders” but at the end of day, it’s two or three people who are driving the company forward or who are the main core team that in the early days before anything, they were working on the [company] together, they’re just thinking together. Brian McCullough: [00:09:31] I found this interesting: like 60 percent of the unicorn founders were repeat entrepreneurs. And then more than half of founding CEOs were over 35. So I’m wondering — that probably correlates to having the experience, like maybe actually having failed before, having this be their second or third go-around and learning lessons from other startups and things like that. Does that correlate? That it’s also exceedingly rare, even though we get a lot of headlines for this, but it’s exceedingly rare to be a 24 year old starting a startup in your dorm room and having it become a unicorn. Ali Tamaseb: [00:10:14] Absolutely. That was the biggest ask on it and that’s the number one conclusion that I’m taking here is: There is there is a disproportionately high number of repeat entrepreneurs and repeat successful entrepreneurs that are building these billion dollar companies. And we are seeing a lot less of those 20 year old college dropouts [as] entrepreneurs. But that doesn’t mean that 20 year olds should not start a company. Because the pattern that I saw is they actually do start when they’re 20-something years old. The first company may fail. It maybe a small success. Then it’s their second company or third company — this is a journey for them. So they start with the first one, they go on to the second one, they go on to the third one. And what matters is, they’re trying, and they’re trying to do different stuff. And when it comes to their big success, which is the unicorn company, then they’re already at their second or third company. It’s one previous success or one previous failure. Brian McCullough: [00:11:13] Well and I found this fascinating also. According to your data there are almost exactly as many non-technical CEOs as technical CEOs. And you wrote, “While this seems to go against intuition, when the first person in rank at a unicorn was non-technical, the second person in rank also had a higher chance of being non-technical too.” Do you have any idea of why that proved out? Ali Tamaseb: [00:11:36] [Chuckles.] Well I guess it’s, let’s just imagine, you know, who your friends list — or where you’re working, or what type of people you’re working with. If you’re a non-coder or you’re non-technical — and because this is a broad study that includes energy companies, material companies, biotech companies, it doesn’t necessarily mean coding, it means being good with chemistry. It means being very technical on what you’re doing. There is a higher chance that your closest friends or your closest network, they are non-technical too. Or if you’re technical, there’s a good chance they’re technical too because they’re the kind of people you’re working with. And you end up starting a company with someone you’re close with, you have a lot of experience working with them. That may be one reason. I think one thing that I wanted to show with this graph is, a lot of people were thinking, “Okay, if this person is non-technical, you definitely need a technical co-founder. A second person.” Or vice versa — if the first person is technical, you need a business second person. That’s not true. Any of these situations work. Brian McCullough: [00:12:35] Yeah, we’re used to that paradigm of Steve Jobs and Steve Wozniak, where there’s the guy with the vision and the guy with the tech chops. Brian McCullough: [00:12:43] So that’s super fascinating. That that necessarily doesn’t have to hold up. But I also found this — your data shows that directly relevant industry experience, previous experience in whatever industry it is that the unicorn is starting, does not seem to matter. You know, my instinct would be that maybe is the phenomenon of coming to something with fresh eyes. You’re better off if you don’t know what isn’t possible, what you shouldn’t be able to do. Do you think that that’s part of that phenomenon? Ali Tamaseb: [00:13:24] Maybe that is. Maybe it’s just that at different times, different kind of spaces or industries are picking up. So for example, right now I’m seeing a lot of successful tech entrepreneurs are starting companies in healthcare or spaces near bio and health. And that’s what’s probably working now, or what’s the future. So at different times these successful people who have the experience, who have worked on good companies before, they are taking their experience to a new space. Ali Tamaseb: [00:13:55] So what I’ve seen in this data is: What matters is experience running your company, experience running a big team, experience raising funding, experience speaking to VCs. It doesn’t matter if you don’t know what this exact space is because that’s something you learn. What transfers is the knowledge of how to run a team and a company, not the specific knowledge about this kind of tech or this kind of space. Because that you can learn, you can hire, and because you have this open eye to go and learn, maybe you come up with better ideas. Brian McCullough: [00:14:26] That’s fascinating. Also in the data, Google, Oracle, and IBM. People that were veterans of those three companies were among the biggest contributors to billion dollar founder startups. Google I get. You know, Google has this huge reputation for seeding a bunch of other companies and then buying them back, acqui-hiring them. And even Oracle, for that whole SaaS diaspora. But IBM surprised me. And then, even more surprising was number four in your list was Yahoo. Ahead of even Facebook. Ali Tamaseb: [00:15:09] That is true. So there’s a couple of things that basically bias these. One is just the number of employees. Google has fifty, sixty, seventy thousand people working there. One is timing. So Facebook mirrors the timing of this period — the companies that I studied were from 2005 to end of 2018. For some part of that, basically Yahoo was around for a longer time than the Facebook team, or the people who came out of Facebook, as we can say. So one part of it is that, but the other part is generally the type of people that these kind of companies attract. For example. Google or Oracle. You see a lot of these data and database related unicorn companies that are founded in 2012, 2013, a lot of them are coming from Oracle. Similarly from IBM. And I would say a lot of the social or productivity kind of companies are coming out of Yahoo. Brian McCullough: [00:16:13] A couple other details before I ask you some wrap-up summary questions. You said that over 50 percent of the companies you studied were competing with multiple incumbents at the time of the founding. You suggest that it almost seems like competing with multiple large incumbents is a good thing because it’s a sign that the market opportunity is large. Like you said that that’s what your firm likes to invest in. And that maybe large incumbents have already seeded and educated the markets. But, most of — you said, over 65 percent of the cases you saw, the aim of the startup was to get market share from the others. So again, we often think of unicorns as, like, oh my God, they’re the first to plant the flag in a new market. They prove the market, they create the market. But you’re saying that in 65 percent of the cases you studied that wasn’t the case. It was almost the followup. The disruptors coming up from behind. Ali Tamaseb: [00:17:13] Well, that’s true and not true. So, yes, absolutely a big percentage of these companies were competing from day one with a large number (or a couple) of these incumbents that had been operating in that market. And the thing is, it shows there is a market, there’s a massive market, the market is educated. And just the inefficiencies in these companies, a couple percentage [points] of inefficiencies that you can win, that’s enough for a company to become a billion dollar company or to show the initial traction to raise that amount of funding at that valuation. But that has been one of the main reasons that we see this. One thing to not to mix up here is the difference between the market and demand, and technology. So oftentimes a market exists, a demand exists, but you are building a new technology to solve the same problem 10x better. You’re still going after getting the market share from those people, from those incumbents, but with a different technology, with a different type of product. And that’s one of the other charts, [in] 70 percent of these companies, the product was very differentiated from these incumbents but you were still competing with these incumbents, if that makes sense. Brian McCullough: [00:18:31] What surprises you the most about the the data that you came up with? Like either from a VC perspective or from a founder perspective. Was there one data point that really shocked you? Ali Tamaseb: [00:18:44] I guess just one of them is this market thing. That it seems intuitive that markets fit [the] company but oftentimes VCs like to see super unique things that are going after not very well-defined markets or needs. And that’s where I need to specify again, that demand exists and the demand is large, right now, and the company is going there and getting there. Because you can never game the timing. So the company should be when the timing is correct. Or those are the kind of companies that are working out. So that’s one of the main things that I thought. The other thing is these super founders. So the main thing in the article that amazed me — and that’s the title of the article, the Land of Super Founders — is these are the people who start different companies. Maybe their first company’s a failure, their second company’s a $50 million dollar exit, and then it’s their third company that becomes the unicorn. It’s oftentimes not just your first experience of running a company or starting a company either trying different things or succeeding. So you see this path. 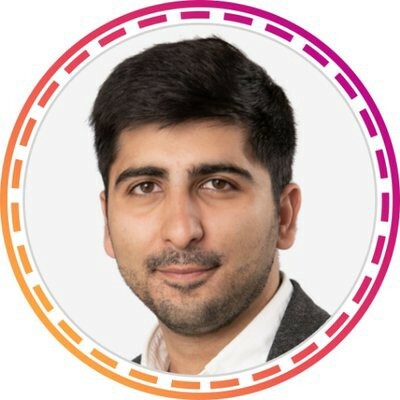 And now when I see people, when I see LinkedIns, I see, “This looks like a super founder.” I have the pattern-matching wonders now that you see, he’s on a path and maybe his next company is not a unicorn, but his second next company is the unicorn. And you better back this person because in the next 10 years we have an opportunity with him or her. Brian McCullough: [00:20:12] So that’s the big lesson that VCs should take away from your research. But if there are founders listening, or if they are people that want to be founders, what do you think would be one big key lesson that founders could take away from your research? Ali Tamaseb: [00:20:30] Pick big markets. Massive markets. No, do not be afraid of competition with big guys — not small guys. If there is a highly funded startup that’s doing that then you’re just copying them. That doesn’t work. But if there is a 20 year old big company with a massive market, don’t be afraid of that competition. Don’t be afraid of losing it to them because they have a lot of inefficiencies. Don’t be afraid of competing with the Googles of the world. That’s what this is saying. Look for that big market, and have a very differentiated product. It seems like a lot of these companies have a very high differentiation. And when I actually filter out companies over five billion dollars, or really one billion dollars I actually saw there’s even more differentiation. So the more differentiation in the core product offering, the more 10x, more 100x better product experience, the better the company is. Brian McCullough: [00:21:22] I’m going to end almost with not really a question but you made this point and I actually think it’s crucial because this is what we’ve been talking about on the show a lot recently. You noted that the most common themes in your research in terms of the types of companies, it was, like, cloud, data, mobile, marketplace, that sort of thing. But you made the point, “The themes of the next 14 years will not necessarily be those of the past 14 years.” The past 14 years in your research. Brian McCullough: [00:21:52] Right. So maybe the question would be: Do you think that this is a pivot point where now we’re in this nexus point where we’re still trying to find what these new themes are and they’re not obvious yet, but at the very least your best chance at success is to not copy the playbook of the last 14 years. Ali Tamaseb: [00:22:14] Exactly. Exactly. Or those types of companies. So I’m big on construction and manufacturing and mining and health care insurance. These are big trillion dollar markets that are still run by incumbents. And that’s the best opportunity for startups to go after. So don’t go after another tech-for-tech company. Go and find these trillion dollar market opportunities and disrupt them. From: Brian McCullough, Techmeme Ride Home podcast host. My book: How the Internet Happened. Also host of the Internet History Podcast. 2016 TED Resident.